I have this friend who, wherever we go some place we haven’t tried yet, she would always always always order Pork Chop as her default meal. If Richie equals bacon, Lia would equal pork chop. (Hehehe Hi Lia!) 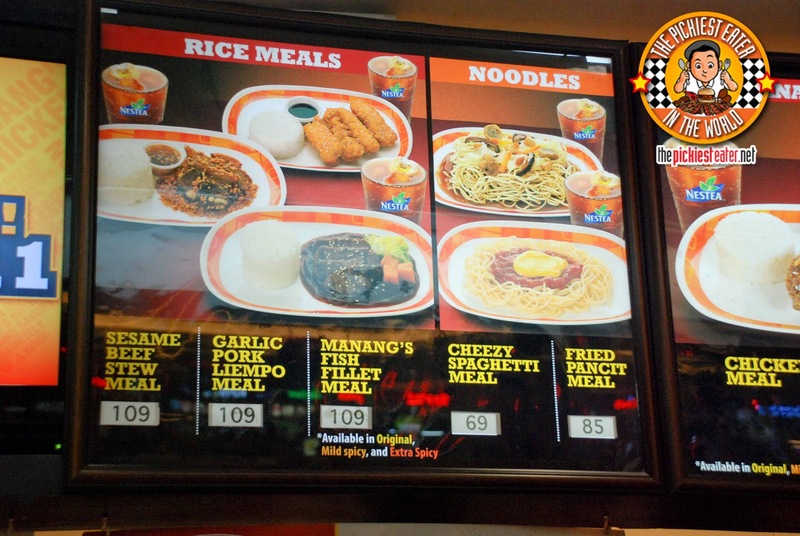 And it was Lia who I immediately thought alerting on a fine afternoon when I saw that Manang’s Chicken has a new dish called Garlic Pork Meal! Sounds good, yes? Intrigued, I went ahead and tried it. It’s always good to try something new. What is fried chicken without some delicious sidings? Well, it would still be chicken but at least with some sidings, the chicken now has two amazing sidekicks! 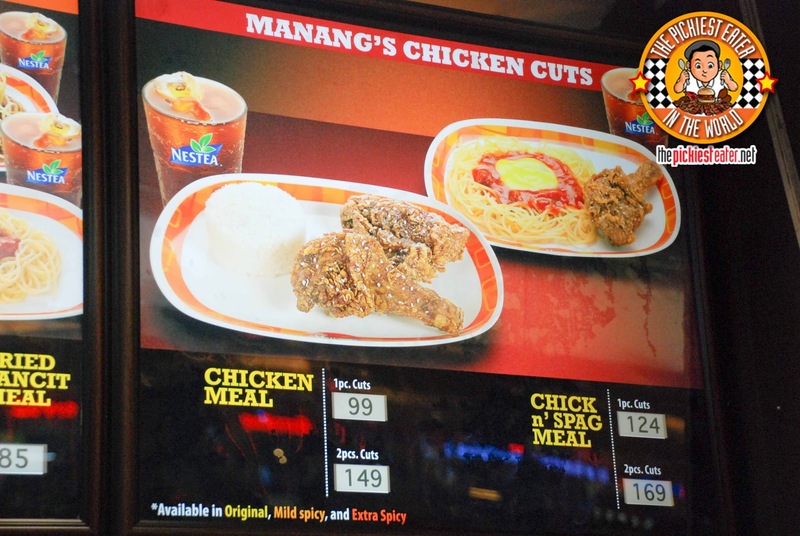 Manang’s Chicken now has three sidings to choose from. Macaroni Salad, Coleslaw, and Buttered Corn. 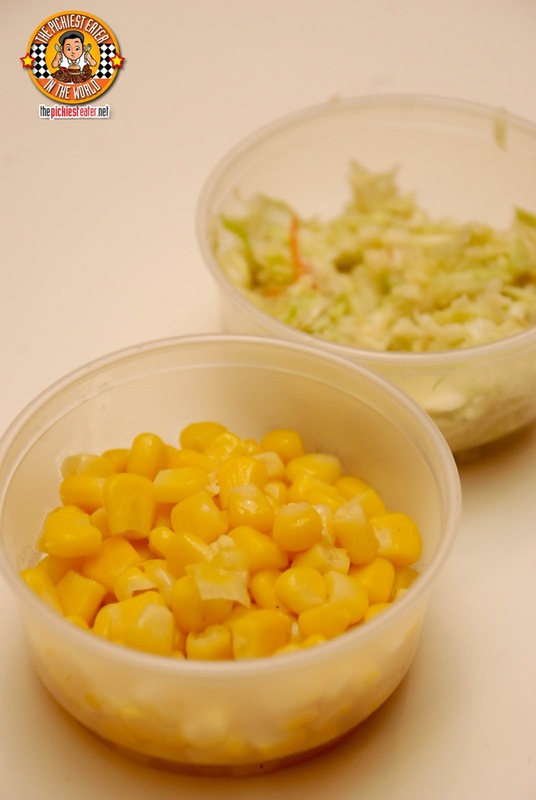 We opted for the buttered corn (always my favourite side dish) and coleslaw. As for the taste, they’re all okay. I mean nothing really mind-blowing, But it does the job of refreshing and tickling your taste buds when mixed with the taste of chicken (Or in our case, Pork) in your mouth. While the pork chop is a good enough reason for Richie to go to Manang's Chicken, they gave him yet another reason.. their chips and dips! Richie is a lover of all things potato, especially when it’s deep fried to a golden crisp. 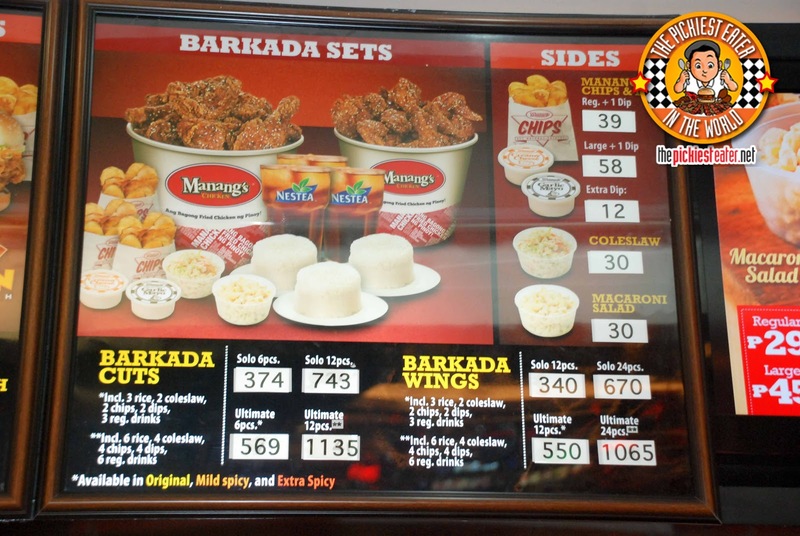 So Manang’s Chips and Dip is always a must for him to order every time we dine there. They’re crispy homemade chips that come with three choices of tasty dips: Garlic Mayo, Creamy Cheese, and Spicy Ketchup. 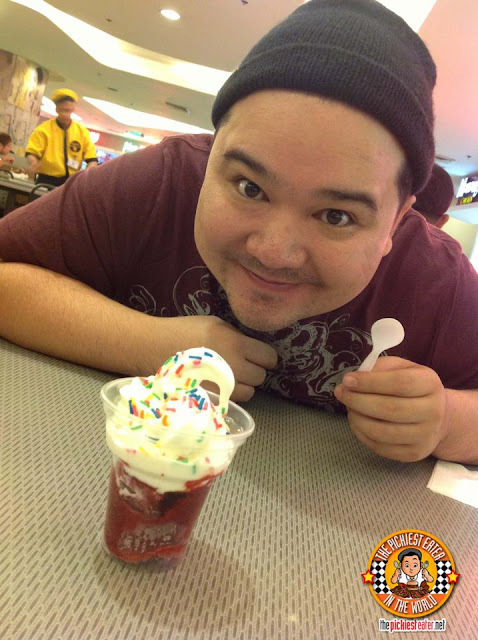 Due to his hyper acidity, Ketchup (or anything tomato... or anything red for that matter) is Richie’s kryptonite (Thus the name, “Pickiest Eater”). So clearly we went for the garlic mayo and cheese. I liked both of them equally. Just depends on my mood hehe. 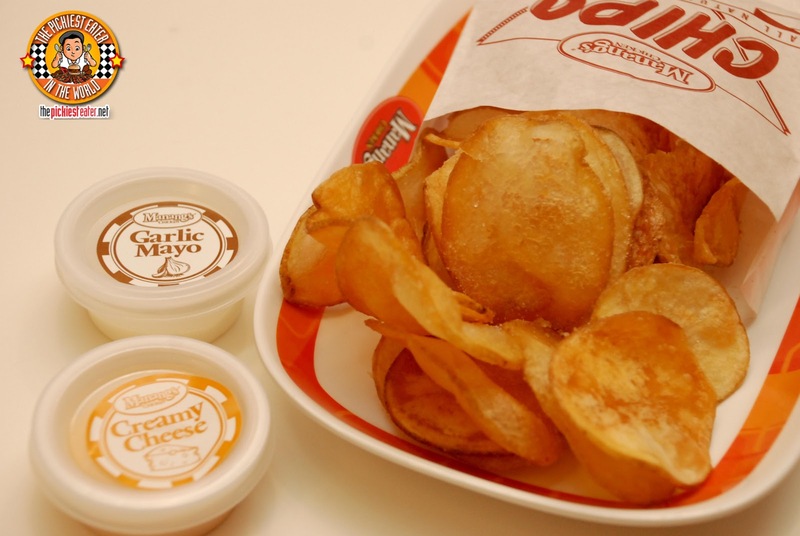 Aside from being a great starter, the chips and dip is definitely good to partner with their famous chicken! (According to Richie potato in any form, steamed, baked, or fried, is still a vegetable so therefore it is “healthy”. Let’s all please humor him). Manang's Chicken recently unveiled their newest incarnation of the Garlic Pork Rice Meal. 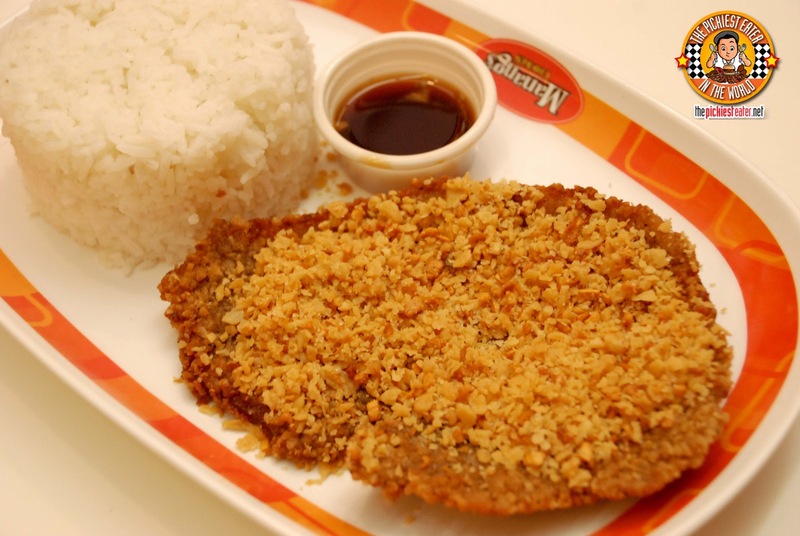 Awhile back, Richie would order this in the form of a liempo, but now they used a pork chop. First off, the size of the pork chop is quite big. But that’s always a good thing! It’s deep-fried and topped off with special crispy garlic topping, and lots of it! The Garlic still has that delicate sweetness that Richie loved so much. It doesn't have the strong, often pungent kick of garlic, and pairs beautifully with the meat. 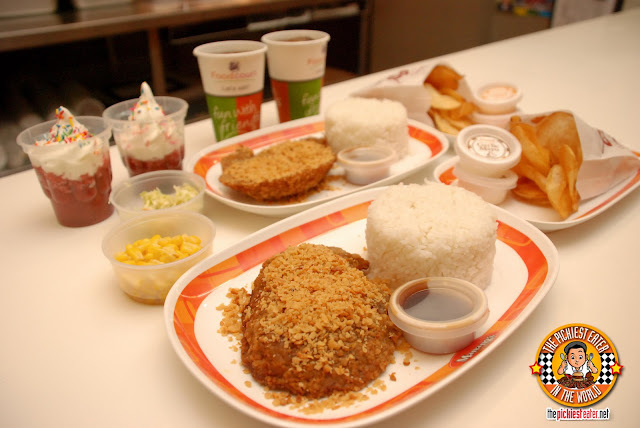 The pork chop is lightly breaded, and fried to a perfect golden hue. The meal comes with a generous serving of rice and a special vinegar dipping sauce. The sauce looks and tastes like mixed soy sauce, garlic, and vinegar. I could be wrong. After all I’m sure the ingredients are top secret! It's definitely not gourmet quality, but If you're a working man and looking for an affordable yet filling meal, you should definitely give Manang's Chicken's Garlic Pork Meal a try! Have you ever tasted a brownie ala mode? It’s good, right? Especially when the brownie is really warm like it’s fresh from the oven. Well, imagine that. But change the brownie to RED VELVET! Brilliant! 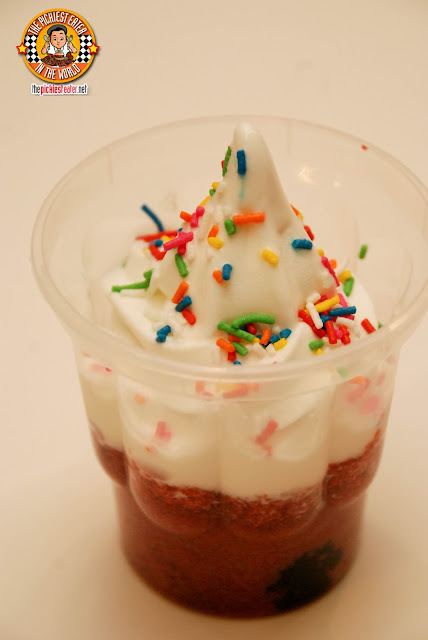 The ice cream though is just your normal soft serve ice cream with rainbow sprinkles. The red velvet is quite good for me. Not too sweet which I like, and very moist which I love. If you want to taste this you had better hurry because it’s only available for a limited time. Just for the month of Loooove! For what it’s worth, I’ve always been so proud of Manang’s Chicken for starting off as a favourite home-cooked meal, to a simple food stall in Mercato Centrale, to a huge restaurant chain with 12 branches! Their chicken is really worth expanding for! What's great is how they are constantly innovating their menu, and not limiting themselves just to chicken. 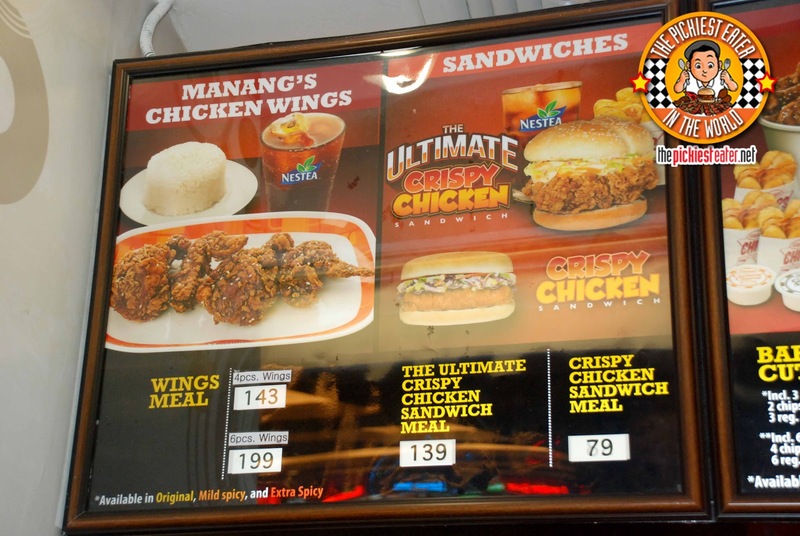 Manang's Chicken absolutely deserves the title of "Ang Bagong Fried Chicken ng Pinoy!"